Whew! I know I’m not the only Minnesotan who’s glad to see the last of the snow piles (yeah, we’re just gonna ignore this week’s forecast). We’re very glad here at the orchard to be looking ahead to the growing season. This winter was hard on us! Jim fell and broke his ankle in early February and was on crutches and limited mobility for much of the winter. Sam and David carried most of the load for orchard pruning. They are still working away at it and will finish just in time later this month. Between the deep snow, snow storms and below zero temperatures, it’s taken us a little longer this year. Jim has been focusing on planning for the future and we’ll just give you a quick peak at what we’ve got going. We know that if we asked you what one thing you’d want us to add at the orchard, you would say “donuts.” So, we are super pleased to let you know we’ve been able to purchase a used food trailer and donut machine! We’ll be able to use this for fresh donuts and for our brat stand this fall. We’re working on the next phase of rebuilding and repurposing the barn. 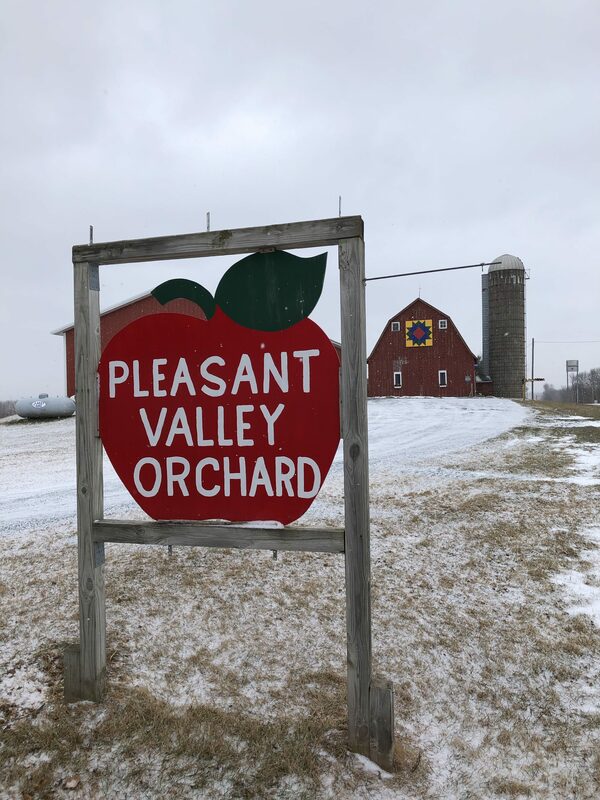 Look for expanded space and opportunities to enjoy Pleasant Valley Orchard! We are now members of the Minnesota Cider Guild. We’ve been networking with cider makers from across Minnesota, learning and exploring how to transform our Minnesota apples into hard cider. 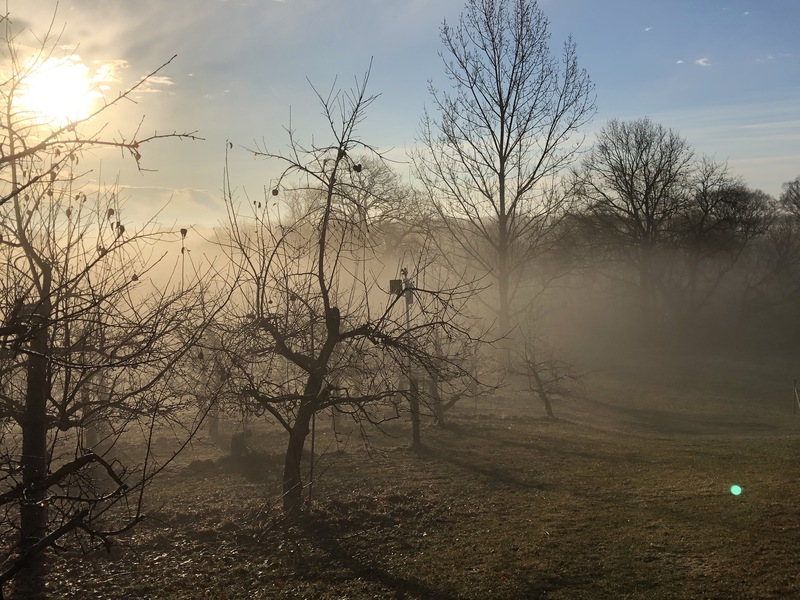 This is a growing industry and we’re excited to see where this leads us at Pleasant Valley Orchard. Looking ahead – we hope to offer a Bloom Walk again in May; follow us on Facebook and Instagram where we’ll post it once we have a date. This is a time where we invite you to come out and enjoy the orchard in bloom. Take some pictures, create some memories, chat with us. I know we’re all ready for fresh strawberries again! We’ll have a better idea of when strawberry season will start once the growing season begins. Stay tuned. I don’t know about you, but when I go outside these days, I am delighted by the sights and smells of spring. The muddy, wet smell that means we’re thawing out, and the return of the ducks, geese and sandhill cranes. We hope you enjoy this season as well!